There is nothing quite like the feeling of being out in the snowy mountains; enjoying the scenery, the fresh cold air and the exercise of skiing or snowboarding. These are activities that most able-bodied people would take for granted as being ones that they can enjoy. They can simply get out there & do it. However, for those who have a disability or movement impairment, this may not be the case. 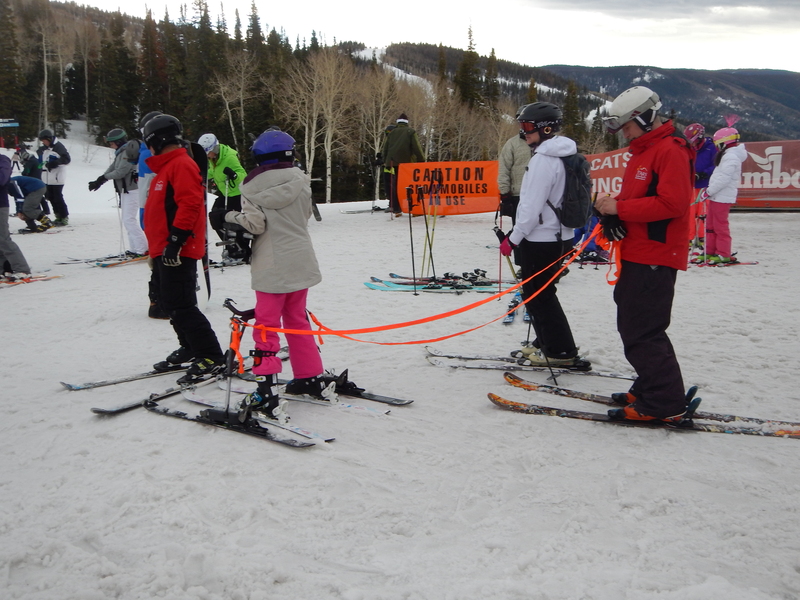 The idea of being able to participate in & enjoy snowsports for them may seem unattainable. The good news is that, if you want to, then through support & adaptations it is entirely possible for you to enjoy all the fun, beauty & exhilaration that the mountains & the snow have to offer. As a wheelchair user there are options. You can choose to leave your wheelchair at the foot of the mountain and join the other skiers and snowboarders in the freedom of the pistes. 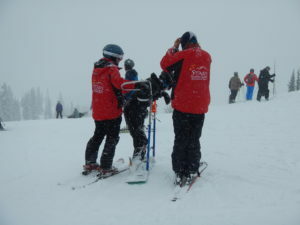 The most accessible way of enjoying the slopes is by using a sit-ski or monoski. 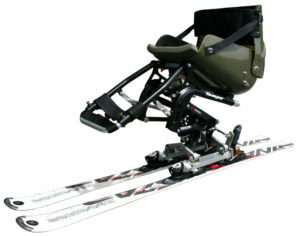 A monoski, also known as a sit-ski, consists of a molded seat mounted on a metal frame. A shock absorber beneath the seat eases riding on uneven terrain and helps in turning by maximizing ski-snow contact. Modern monoskis interface with a single, ordinary alpine ski by means of a “ski foot,” a metal or plastic block in the shape of a boot sole that clicks into the ski’s binding. A monoskier uses outriggers for stability; an outrigger resembles a forearm crutch with a short ski on the bottom. People new to mono-skiing are often surprised to see how much terrain is skiable in a monoski; advanced monoskiers can be found not only carving turns on groomed runs but also skiing moguls, terrain parks, race courses, glades and even backcountry terrain—in short, wherever stand-up skiers can go. Sit-skis are compatible with chair lifts therefore allowing the user to access the top of the slope. They can be controlled independently by the user, or by someone else by using a handle behind. 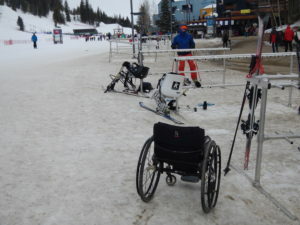 A sit-ski is used by Canadian Paralympic medal winning alpine skier Josh Dueck, who continued with competitive skiing after breaking his back in an accident. 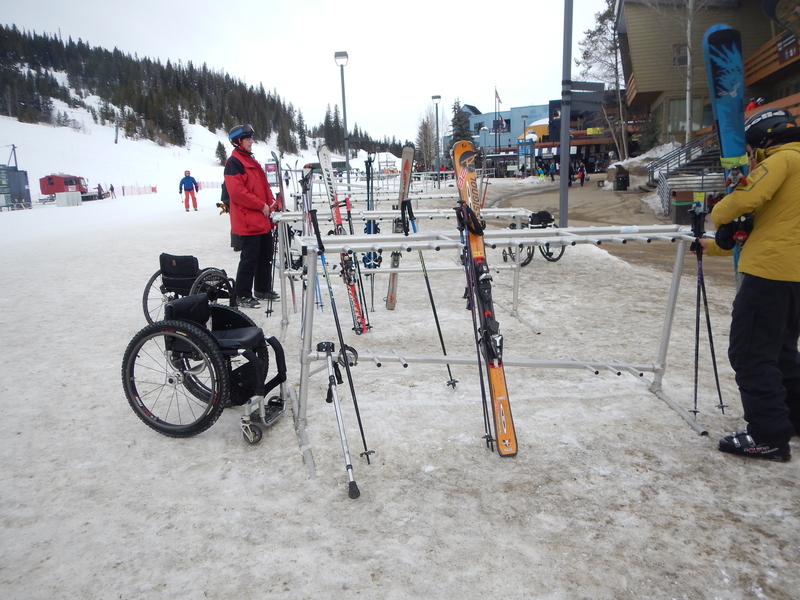 As well as the sit-ski, there are many other adaptations to snowsports equipment. The adaptations available for skis and snowboards enable more people to get out on the slopes. For extra upper body support there are outrigger skis. These are skis with crutches & offer the user increased support for the upper body & allow them to control their speed, turns & balance more effectively. For the snowboarders there are snowboards with upper body support and many other adaptations that can be made and used to enable you. 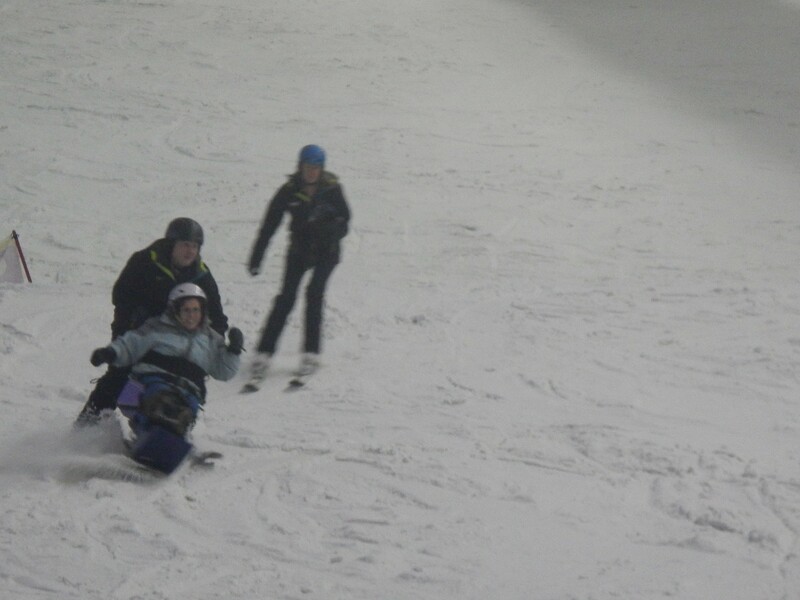 In the UK we have a charity to enable people with disabilities to enjoy snowsports; Disability Snowsport UK (DSUK). 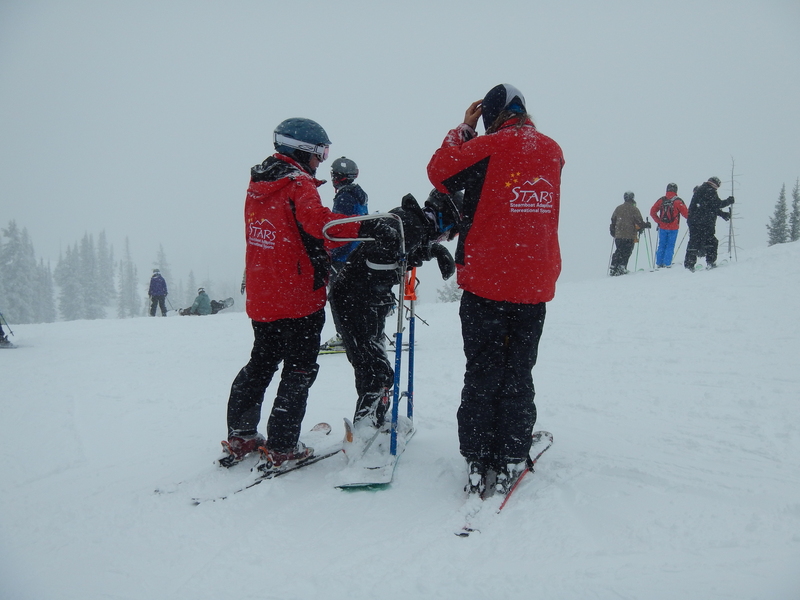 DSUK exists to promote the idea that anyone of any ability, can be included in snowsports. It is possible to try out these activities in the indoor snow slopes throughout the UK. There is a section on the DSUK website for local groups, why not check out your local facility to see what they have to offer & enjoy! Always bear in mind that it is important to ensure you receive the appropriate training before heading out.